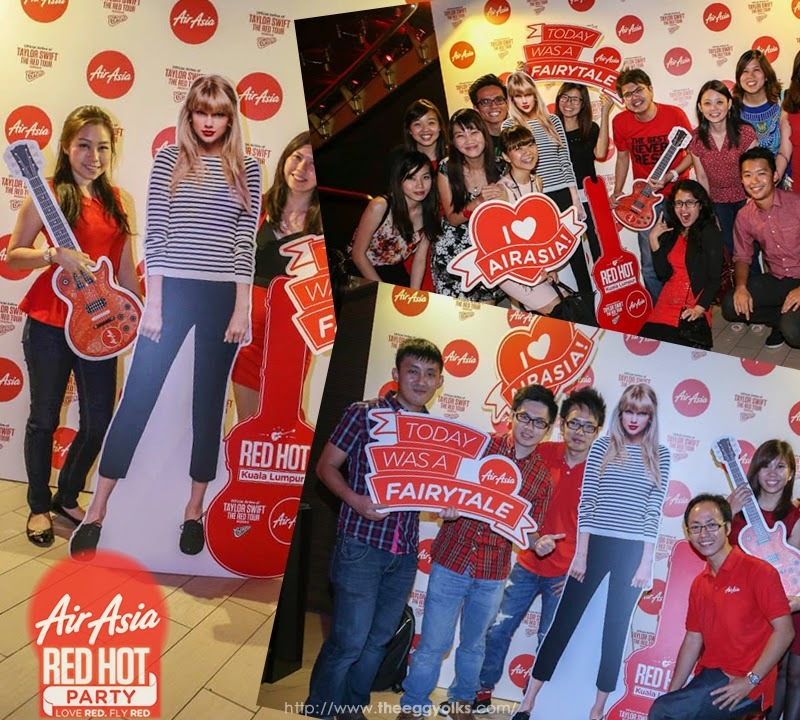 We were very fortunate to be invited to a very special party by AirAsia as AirAsia is the official airline for the upcoming Taylor Swift RED Tour in South East Asia in June. 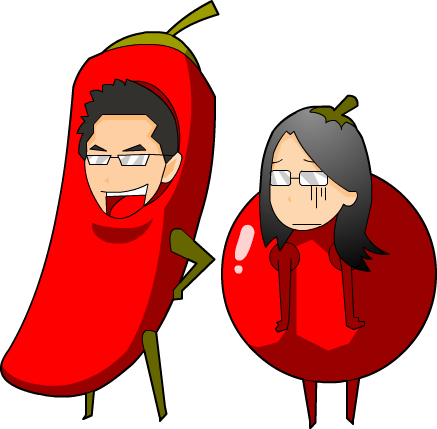 However, it seems not too appropriate so we ended up just wearing red T-shirts. 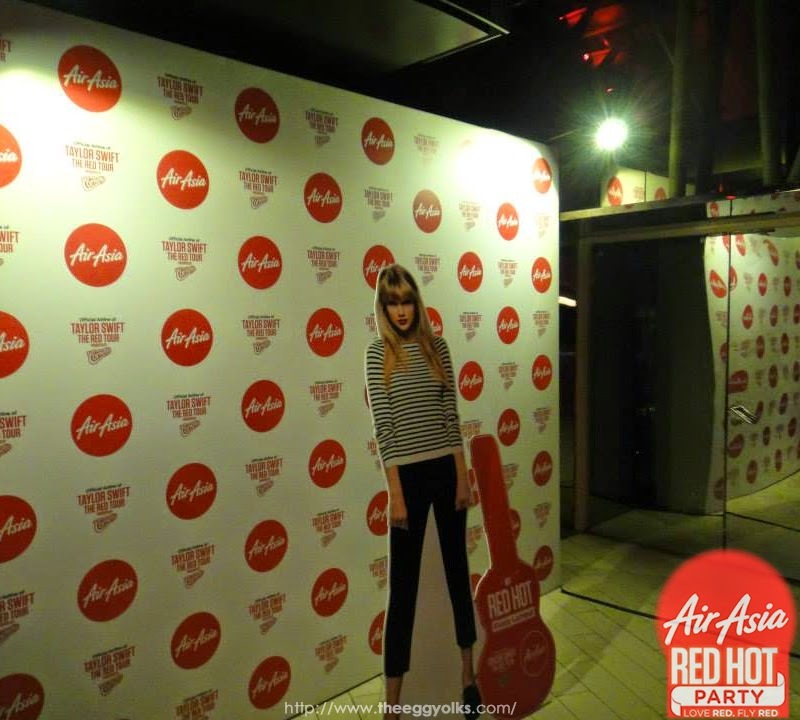 Anyway, when we reached the venue, we were greeted by Taylor Swift!! 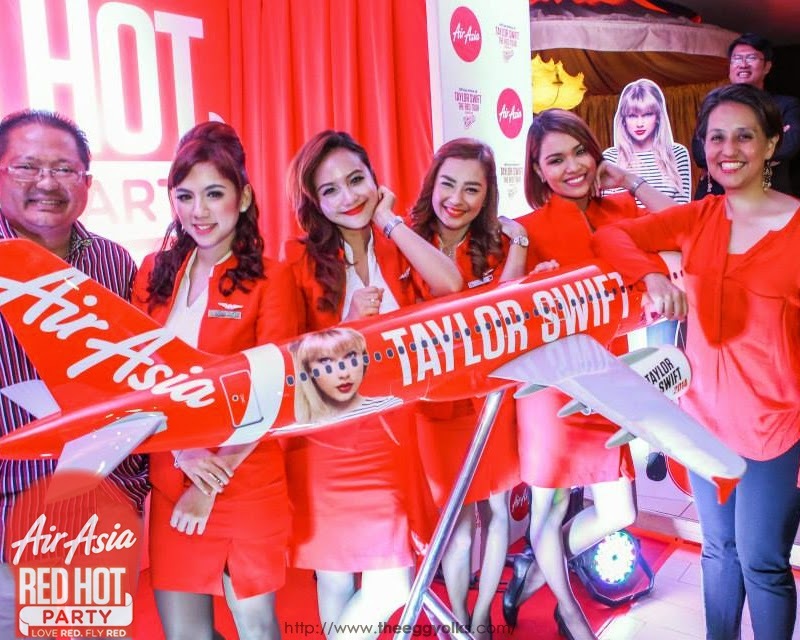 Okay, not the real one =_="
AirAsia is the official airline for the upcoming Taylor Swift RED ASEAN TOUR Presented by Cornetto in South East Asia, and launched an exclusive aircraft livery featuring the seven-time GRAMMY winner, at an event held in Kuala Lumpur yesterday night. 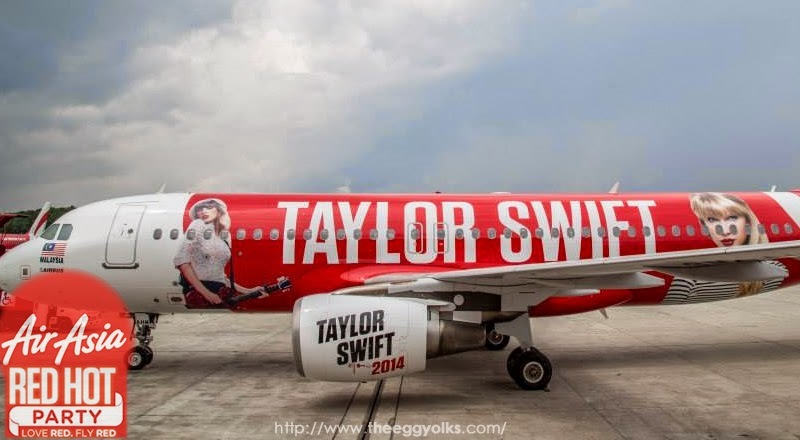 The Airbus A320 with the exclusive Taylor Swift aircraft livery will be travelling to the various South East Asian cities for the tour, including Jakarta, Manila and Singapore, in addition to Kuala Lumpur. 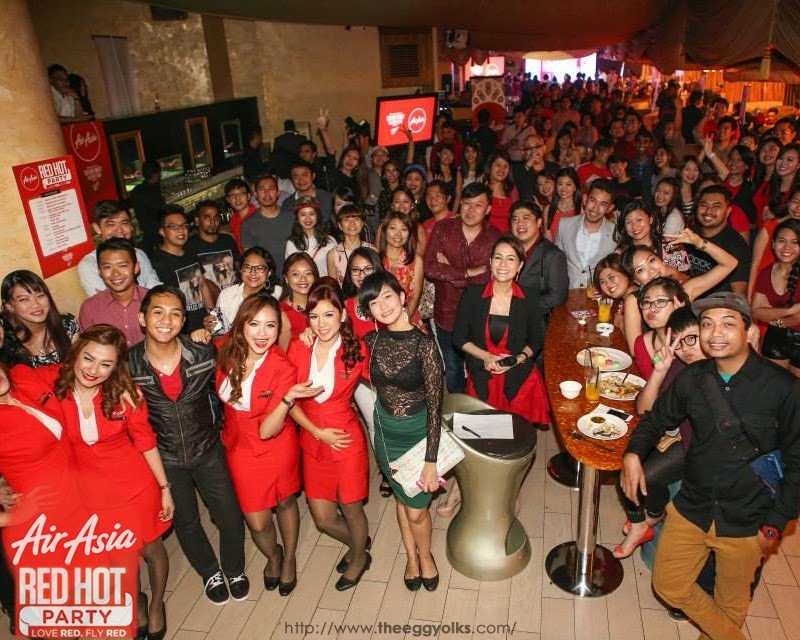 Bloggers and media from across the region were present at the party to celebrate the launch of this aircraft livery, and to commemorate the start of AirAsia’s collaboration with Taylor Swift’s THE RED ASEAN TOUR Presented by Cornetto in South East Asia. The Taylor Swift RED ASEAN TOUR Presented by Cornetto will be at Jakarta on 4 June, Manila on 6 June, Kuala Lumpur on 11 June and in Singapore on 9 and 12 June. 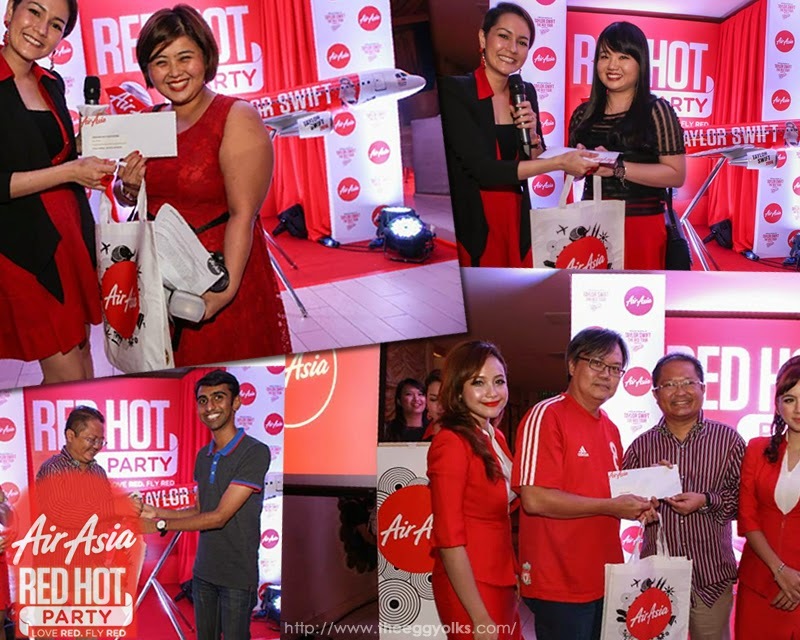 During the event itself, lucky draw were drawn and few of the luck bloggers got themselves some pretty awesome prizes which includes the backstage ticket to Taylor Swift’s concert!! Other than all these exciting activities, there was actually a photo booth where we can take photos and get it developed instantly! 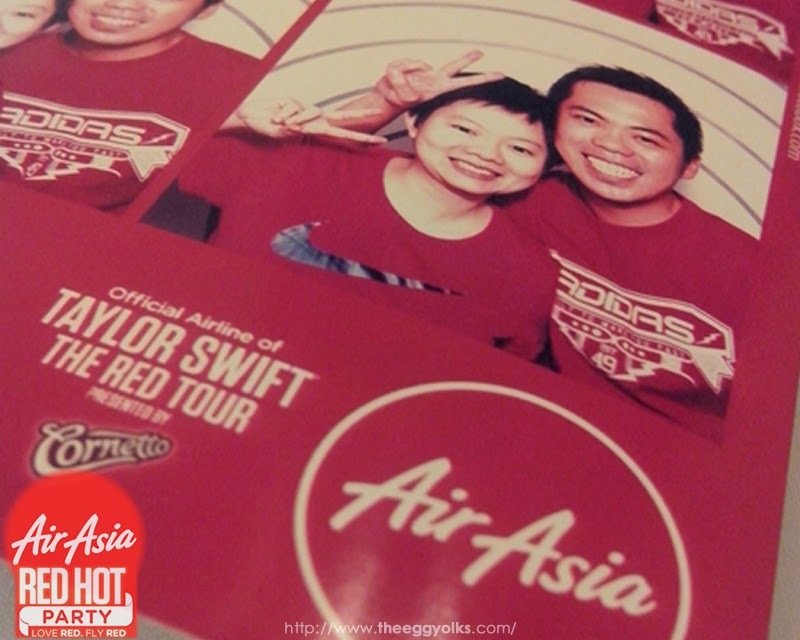 Here's a little caricature we did for AirAsia and Taylor Swift!